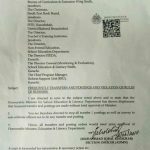 FGEI (C/G) Directorate, Sir Syed Road Rawalpindi has issued Orders No. 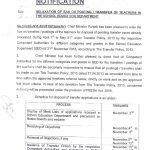 0409/03/77-FGEI (M) dated 09-02-2015 in connection with Transfer/Posting of FGEI Teachers. 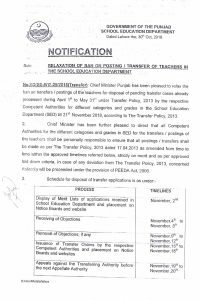 According to these orders 14x male and female teachers have been transfred to various places. 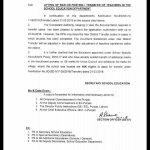 In these orders ESTs, TGTs and PTIs are included. Since transferred at their own request/locally no TA/DA and transfer grant are allowed. 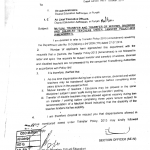 They are allowed to join their new place of posting after completition of Academic Session on 31st March 2015. 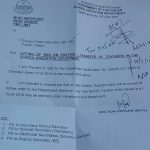 Special Thanks to FGTBP School Rawalpindi for sending the copy of the orders. Sorry, Dear Rifat Mahmood, I am not confirm about this issue. 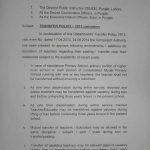 Dear Haider Ali I as per routine ban is lifted during the summer vacations.